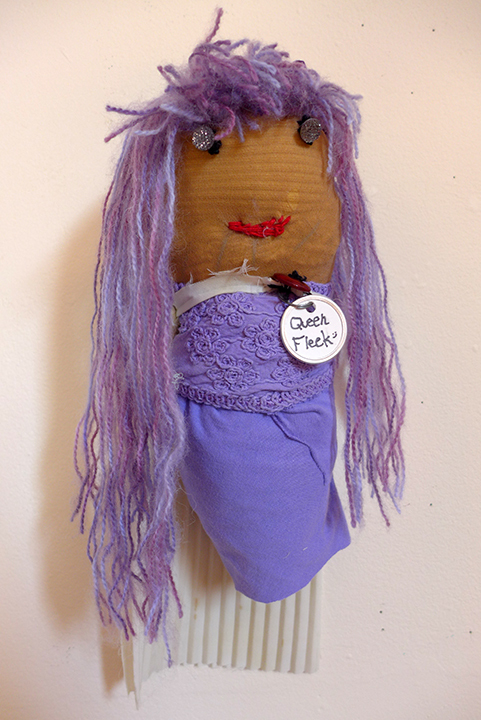 “Queen Fleek” by Jazmin. She is planning a secret attack on Queen Fifi. She lost all of her limbs in a war. She only wears purple. Sometimes she adds in different colors.